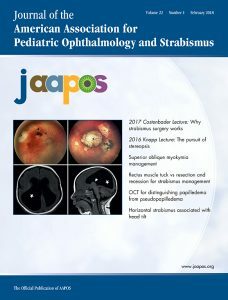 The Journal of American Association for Pediatric Ophthalmology and Strabismus, unable to resolve the disagreement, has published an expression of concern highlighting the dispute. The report, “Foveal hypoplasia in short stature with optic atrophy and Pelger-Huët anomaly syndrome with neuroblastoma-amplified sequence (NBAS) gene mutation,” published in 2017, describes a brother and sister with two rare conditions—an eye disorder called foveal hypoplasia, in which part of the retina remains underdeveloped, and a syndrome known as short stature with optic atrophy and Pelger-Huet anomaly (SOPH), characterized by developmental delays and vision problems. Yoo-Mi Kim claimed that because the authors did not diagnose the patients with NBAS mutations, they cannot describe the results of testing without permission from the patients and researcher. Further, it was alleged that the authors used Yoo-Mi Kim’s clinical data and genetic testing (NBAS and LBR gene testing) results without permission. …they had treated the patient for several years, had received oral consent from the patient’s guardian to publish the case, and noted that because mutation in the NBAS gene has already been reported to be associated with SOPH syndrome in the literature, it was therefore unnecessary to seek the researcher’s permission to report on their diagnosis. The authors subsequently provided unsolicited written consent from the patient’s guardian to the Editor-in-Chief. To their knowledge, this was the first reported case of foveal hypoplasia in patients with SOPH. The authors were unaware that Yoo-Mi Kim had submitted a paper at the time. According to the notice, Kim claims that the patients’ guardian did not provide written consent to the authors. These views were shared with the [institutional review board, or IRB] of Haeundae Paik Hospital. The Editor-in-Chief asked that the IRB investigate the matter as they have responsibility for the research. Despite multiple efforts to contact the IRB, they did not respond. After many communications with both the complainant and the defendant, I have obtained sufficient information to express concern over the publication. Without an investigation by the IRB of Haeundae Paik Hospital, I cannot verify the allegations of misconduct. Following COPE’s Guidelines, I do not believe a retraction is warranted at this time. However, I remain open to revisiting this decision should the IRB decide to investigate. The researchers did not respond to our request for comment. This is not the first time we’ve seen researchers fight over who should get to write up a case report. Last year, a journal retracted a paper about a gruesome accident in which a man stabbed himself in the eye with his tractor. In that case, the ophthalmologists who treated the patient said they should have been the ones to write the report. But the authors (radiologists) argued they had provided a critical diagnosis.